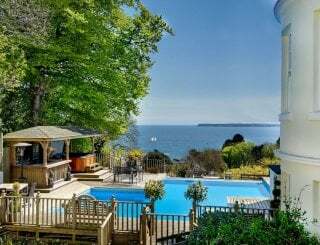 Mount Braddon, Torquay, Devon, sleeps 10-14 in 7 bedrooms. Dating from 1827 and now restored to it's former grandeur, Mount Braddon and it's garden offers all the elegance and style of late Georgian architecture combined with the comfort of 21st century living. 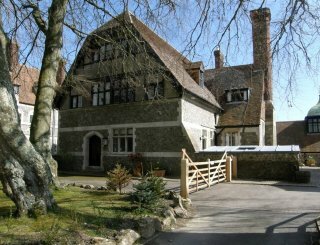 The house comfortably sleeps 14 adults with additional daybeds for up to 4 children. 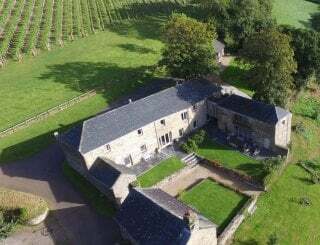 Providing spacious, light and well proportioned rooms Mount Braddon is ideal accommodation for groups of friends or families seeking something just a little bit special for their holiday or reunion. 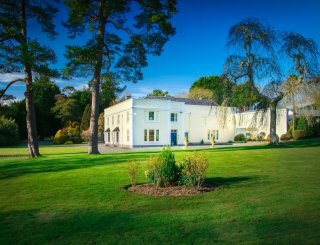 There is no shortage of options for entertainment during the daytime or evening at Mount Braddon; WiFi is available throughout the house and Free View television is in the main sitting room and all but one of the bedrooms. There's also a pool table and table football, and a wide range of board and party games suitable for all ages. 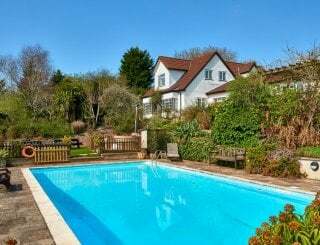 Set within approximately an acre of heavily wooded, private and secluded grounds, giving the feeling of being deep in the countryside, Mount Braddon is just a few minutes walk from Torquay harbour and well placed to take advantage of the town’s bars, restaurants and beaches. The main shopping area, with a handy Tesco Central supermarket, is within easy walking distance for all your self catering needs. 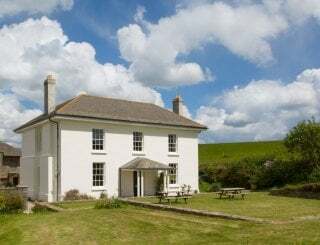 And there's ample opportunity to explore Dartmoor and many of South Devon’s most attractive villages and seaside towns, with several within a short driving distance. 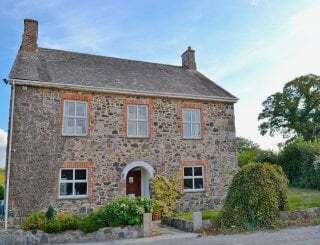 Built in 1827 by local builder Thomas Rossiter for a Mrs Sarah Brydges Willyams, Mount Braddon was part of an exclusive group of Villas on the slopes of Warberry Hill. Originally Sarah Mendez da Costa, Mrs Brydges Willyams was an adoring fan and friend of the Victorian Prime Minister Benjamin Disraeli and on her death in 1863 bequeathed to him the house and £30,000 on the condition that she should be buried alongside him and his wife Anne in the Parish churchyard and Great Hughenden, Buckinghamshire. 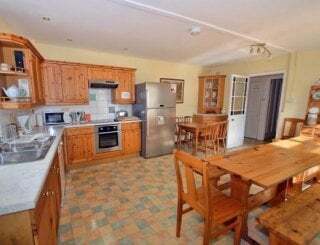 There is a large and well equipped kitchen diner with an integrated oven, dishwasher, fridge and freezer and a full range of other kitchen appliances. Dining room comfortable seats 14 adults and 4 children around one table with seating for 10 people for breakfast and informal meals in the kitchen. Has a TV and comfortable seating for 18 on a variety of sofas and armchairs. Additional comfy seating in the grand entrance hall. 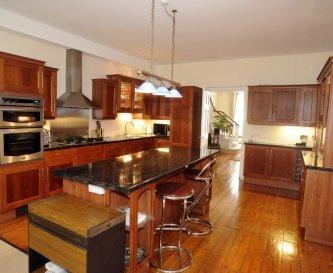 Equipped with Freeview television and a surround sound system for playing DVDs and CDs. There is a games room with a pool table as well as table football in the sun room. A number of other games are available for use in the garden. 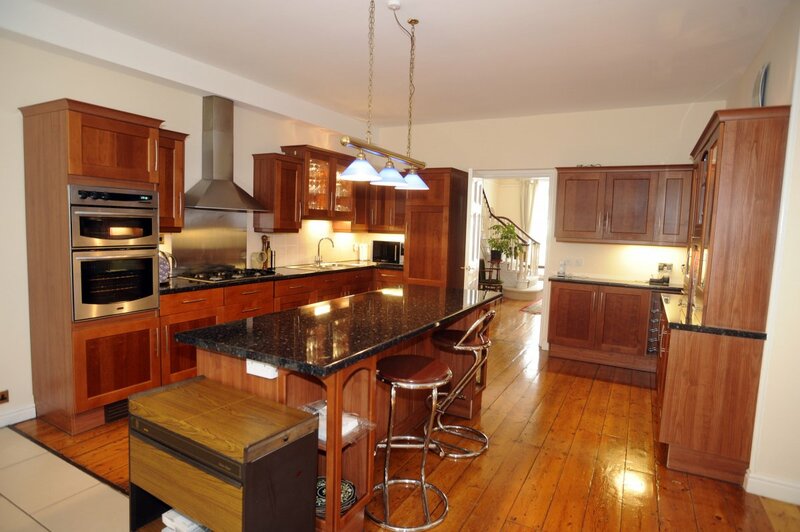 The property is fully centrally heated. All have king size or standard double beds. 3 have day beds that convert to form single beds suitable for 4 to 5 children. 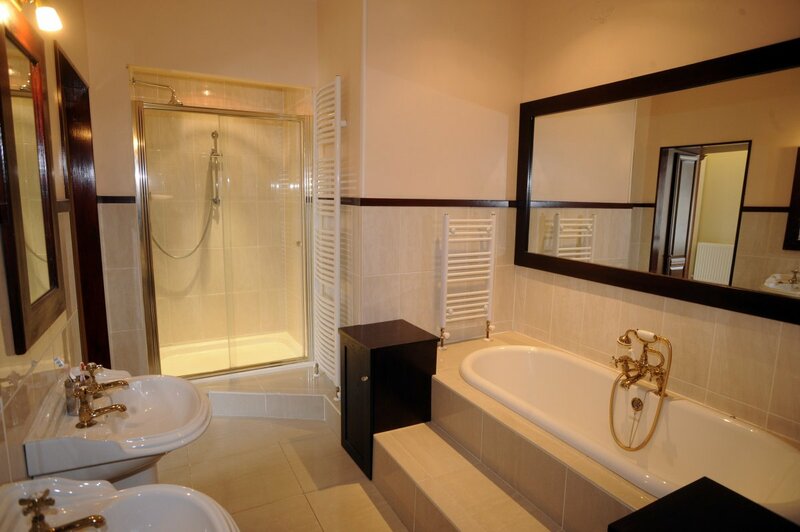 4 have en suite facilities. All bedding and bed linen is provided as well as bath and hand towels. Beach towels are not provided. 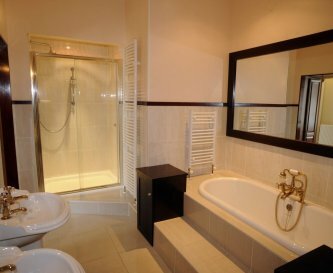 There are three en suite bathrooms, one en suite shower room and a family bathroom. There is also a ground floor wc. This property is regrettably not suitable for anyone with mobility problems as all the bedroom are on upper floors with steps to the front entrance. 2 cots and 2 high chairs are available on request for young children at no additional cost. 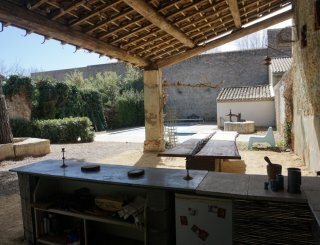 There are extensive private gardens with two barbecues and outside seating for 18 on the paved patio. Parking is available on site for a maximum of five cars. Mount Braddon is situated a short walk from Torquay's main shopping area and harbourside with its bars and restaurants and it's a 15 minute walk for the main beach. The cities of Exeter and Plymouth are close by. They can be accessed by bus or train and are approximately 30 and 45 minutes away by car. There is a Tesco's Central supermarket located in the town centre for all immediate self catering needs. The main supermarkets are approximately 5-10 minutes away by car. There are a wide range of pubs, bars and restaurants at the harbourside. Changeover days are Saturdays unless by prior arrangement for weekend bookings. Our minimum booking is for four nights pro-rata the nightly rate shown. We require a non refundable 20% holding deposit at the time of booking. A refundable damages deposit of £350.00 is included in the balance payment. Torquay train station is approximately twenty minutes away by foot. All local buses arrive and depart from the harbourside or town centre. The coach station is about 30 minutes away on foot. No buses pass the premises. Exeter airport in approximately 30 minutes away by car.